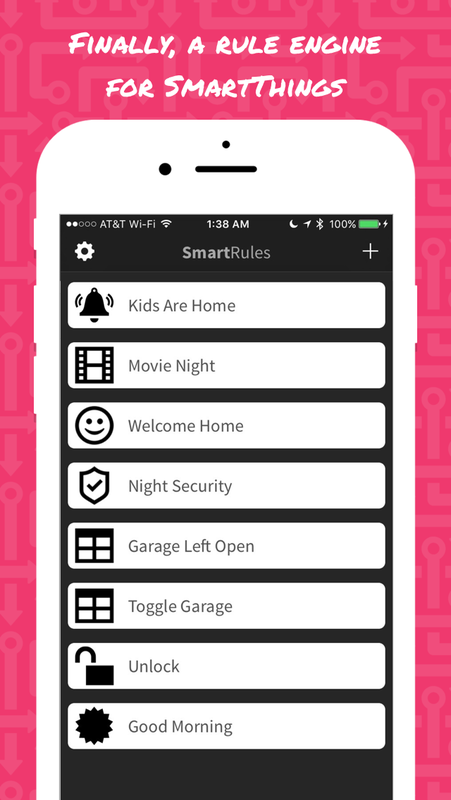 SmartRules – Make your smart home smart. 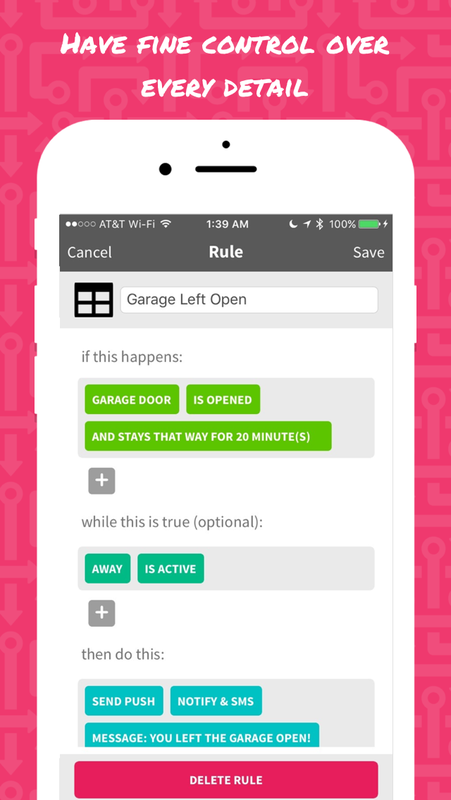 SmartRules lets you easily create rules for SmartThings, so you can finally make your smart home smart! 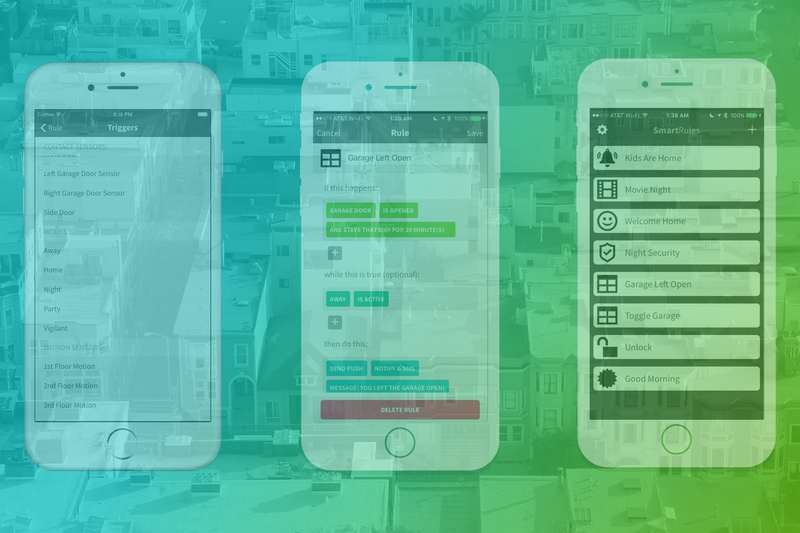 No more struggling to search through the published SmartApps to find something that meets your needs, or worse yet, trying to write the code yourself. 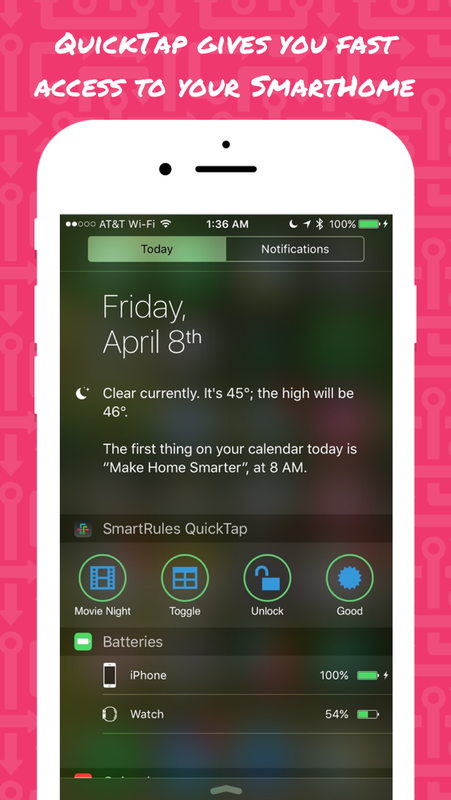 With SmartRules, you just specify what should happen, when, and it does the rest. Each rule is broken down into three parts triggers ("if this happens"), conditions ("while this is true"), and actions ("then do this"). 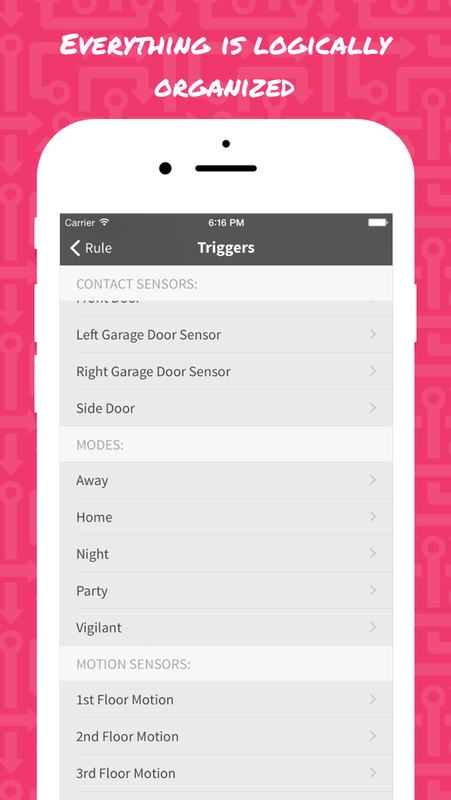 Just select one or more triggers and at least one action, and you've got your first rule (conditions are optional). Below, you can see all of the supported functionality.